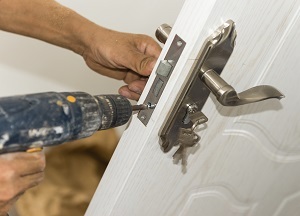 Five Reasons to Rekey Your Home Locks | Metro Lock & Safe Inc.
Posted on October 1st, 2014 by Metro Lock & Safe Inc. Criminals will take advantage when you leave yourself vulnerable. If you recently moved into a home or if your locks are old, then you may be leaving your home, your possessions, and, most importantly, your loved ones open to harm. Rekeying your locks is a great way to simplify your life. For example, maybe you have given keys out to friends and neighbors in the past, but now you really don’t know who has a key—or maybe you no longer want all of those people to have access to your home. Some homeowners have multiple keys for the different doors to their home. Does this sound familiar? If you’d rather have one key that works for every door, then have the lock rekeyed. Sometimes locks or keys become rusty, damaged, or just old. In addition to leaving you vulnerable, this situation can make it frustrating every time you need to enter your home. Resolving this issue can save you a lot of time and hassle. Most of us have lost our keys at least once and suffered anxiously until we found them. If you lose a key and can’t find it, then having the lock rekeyed is a quick way to be sure that someone else won’t use the key to gain access to your belongings. If your home has already been targeted, then you’ll want the peace of mind that comes from upgrading your security. The feelings of violation that come when you’ve been the victim of a crime can be alleviated to a degree by taking steps to protect yourself. 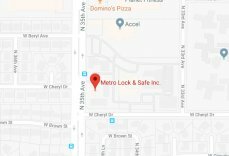 You may have other reasons to consider having a locksmith in Scottsdale AZ take a look at your home safety. Contact a locksmith in the area to get your security questions answered.